If you’ve just bought a new Mac, and you’re upgrading from an older computer, you want all of your files and data to be accessible on the new machine. 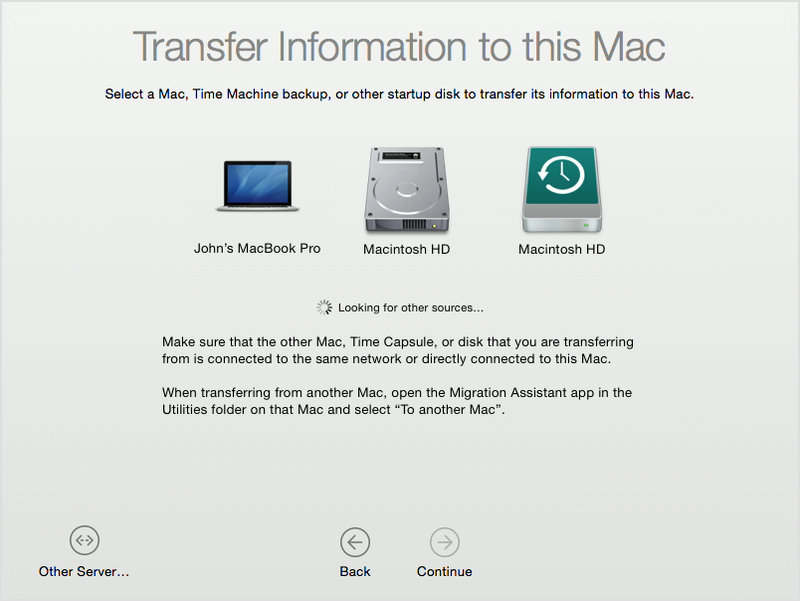 But when setting up a new Mac, should you migrate or do a clean installation? When you buy a new Mac, it might be a good idea to do a clean installation; starting from scratch, with a brand-new operating system, and adding the files that you need manually. 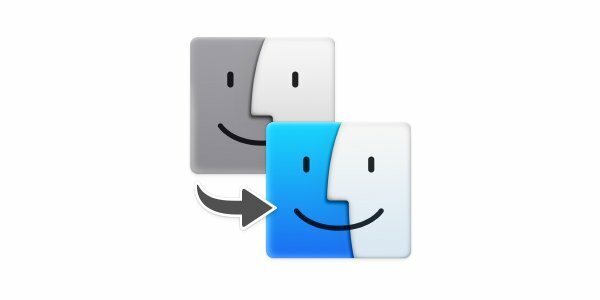 Here’s how to migrate your files to your new Mac, or do a clean installation, and the pros and cons of both methods. Apple includes a very useful tool as part of its Mac operating system: Migration Assistant. This feature is the same as Setup Assistant, which only runs during the setup of a new Mac; therefore, once you have set up the computer, you will have to use Migration Assistant. Connect two Macs using a Thunderbolt, FireWire, or Ethernet cable. 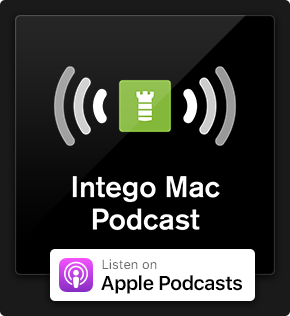 Connect the new Mac to a hard drive where you have cloned your startup volume (using an app like Intego Personal Backup), or connect it to a drive where you've done a Time Machine backup. 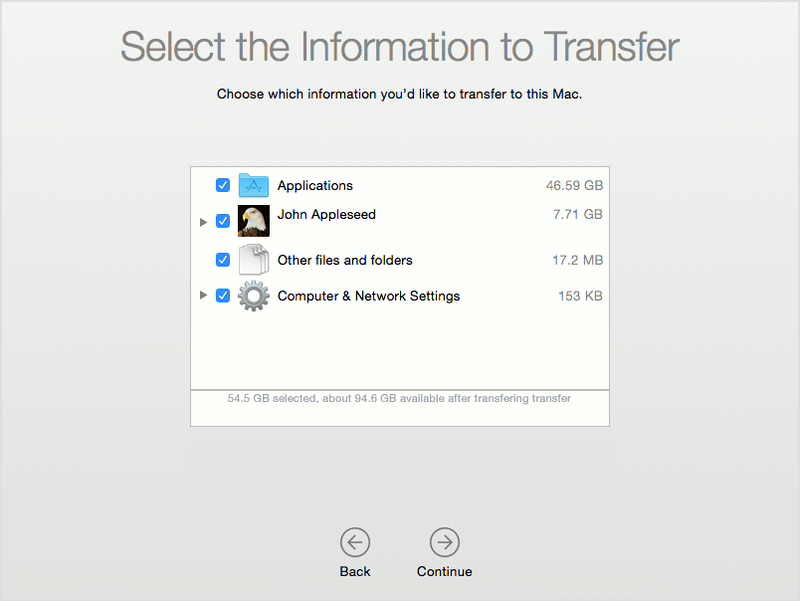 Select the Mac or hard drive from which you want to copy data, and then select what type of data you want to transfer—user accounts, applications, other files and folders, and settings—and wait while the files get copied. As you can see, Migration Assistant is easy to use. The advantage of using this method is that all your files get copied, and that it’s very easy. However, the disadvantage of using the Migration Assistant is that all your files get copied. This is a disadvantage because if you have been upgrading your Macs over the years by installing new versions of OS X over old ones, and migrating data from old Macs to new ones, you’ll have hundreds, even thousands of old files that you no longer need. For this reason, you might want to consider doing a clean installation. When you do a clean installation, you let OS X run its Setup Assistant and create a new, empty user account. During the process, you enter some information, such as your Apple ID, so your iCloud account is activated, but, for the most part, your Mac will be a tabula rasa. If you go this route, you then need to manually copy files from your old Mac, or from a backup. This part of the process can be time-consuming, but it can allow you to sift through your files to find what you really need, and slim down your Mac. I did so this year, for the first time in many years, and many Macs, and was surprised to find how much I didn’t copy. Applications: OS X installs a number of applications, many of which you probably use every day. These include the Safari web browser, Mail, Calendar, iTunes, iPhoto, and the iWork apps (Pages, Numbers, and Keynote). But you probably use plenty of other apps on your Mac. If you have purchased apps from the Mac App Store, you’ll need to re-download them; if you copy these apps from one Mac to another, they won’t work. But for any apps you’ve purchased directly from developers, it’s easier to copy them manually. And this is a good time to decide which of the many apps in your Applications folder you want to keep. You may find dozens of apps that you rarely use. If so, don’t copy them. Your Home Folder: you want to copy most of the files from your home folder (that’s the folder with the house icon and your username). You don’t want to copy the folders at the top level of your home folder—Desktop, Documents, Downloads, Movies, Music, and Pictures—but rather the contents of these folders into the identically-named folders on the new Mac. Again, take this opportunity to check whether you need to keep all of the files in these folders. Your Library Folder: there is a special folder in your home folder called Library. By default, this folder is hidden, but it contains many files that you should copy. For example, all of your email is in this folder, as is the information in the Contacts app. First, you need to access this hidden folder on the new Mac. In the Finder, press Command-Shift-G, and then type: ~/Library. Click Go to view the contents of this folder. In another Finder window, do the same thing to view the old Library folder. Press Command-Shift-G, then enter, for example, /Volumes/backup-disk-name/Users/your-user-name/Library, and click Go. (Type the appropriate names for the backup disk and your user name.) You’ll have two windows open. Application Support; though look inside this folder, and only copy folders for apps you’re still using. Make sure to copy the AddressBook folder in this folder. iTunes; this contains iTunes plug-ins, AppleScripts, and iOS updates. Keychains; this contains all your stored passwords. Mail; this contains all your email, and your email settings. Preference Panes; if there are any that you’ve installed that you still use. Safari; this has your Safari bookmarks. I don’t recommend that you copy the Preferences folder; this probably contains lots of files for apps you no longer use. I do, however, suggest that you go through that folder and copy over any files or folders for apps that you do use, especially if, when you launch them, their setup is different. However, you may just want to manually reset the preferences for your apps; this is a good way to rediscover your apps and their interfaces. You’ll notice, as you start working with the new Mac, that you will need to enter serial numbers for all of the apps that you did not purchase from the Mac App Store. This is because many apps store invisible files on your Mac for registration purposes, and you haven’t copied these. So make sure you know where your serial numbers are. As you work on your new Mac, you may find that certain files are missing. For this reason you should absolutely not delete your old backup, and especially the ~/Library folder. You may need to go back into that folder and copy some other files to the new Mac. While I don’t recommend doing a clean installation for each new Mac you get, or for each OS X update, it’s a good idea to do it every few years. Just make sure to keep a backup in case there are any files you need to find that you didn’t copy over the first time around. This entry was posted in Apple, How To, Recommended and tagged Clean Installation, Mac, Migration Assistant, OS X, Setup Assistant. Bookmark the permalink. What about permissions if you do a clean install? Will there be issues, and if so, how does one resolve them? There should not be permissions issues when you do a clean install and manually copy your files into a new user account. But as the article mentions, don’t copy the top-level folders in your old user directory—e.g. Documents, Downloads, Music, Photos, etc. Copy the **contents** of those folders instead. After all your stuff has been copied to the new user account, it’s probably a good idea to launch Disk Utlity and run Repair Disk Permissions just to be safe. 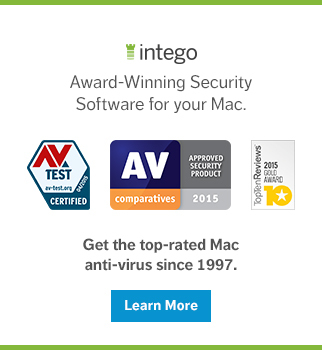 It is risky to copy third-party apps from one Mac to another. Many apps install files in several locations. It is much safer to redownload all the third-party apps you use regularly and reinstall them from scratch. 5. Replace your new User (home) folder with your old User (home) folder. You can use Apple’s Migration tool to do this. This way you get a clean OS and App install and your old preferences will insure that your OS and Apps retain their settings to include your Keychain passwords for the internet/web. * – Don’t copy apps! That will create a mess of broken apps. This article has perfect timing for me. HD was dying. Did a complete backup on time machine, and installed a new HD. Started migration assistant, and for the last 2 days, it has been “starting up”. Im about to cancel that and start over fresh. It may save me a 100 gb of space. Thanks for writing this informative article! I have a number of high-end apps with limited installs. If I don’t uninstall/decomission them then I cannot reinstall/move them to a new Mac. this can be an enormous headache, but absolutely necessary to know when first installing such things. Neither method takes this into account and it can be easy to forget about before wiping and selling the old machine. I have MS Office on my old Mac and have no idea what happened to my installation CD from years ago. Is there any way I can get them migrated over to the new Mac? I’m going more of the ‘clean slate’ route and just moving over files that I need; most apps I can just redownload. This is an old post, but it might help some people. Not sure if it works, when migrating to a new mac, but it works on single mac. Preferences files are generally tiny, far too small to worry about. Why would the time spent in sorting through which ones you want and which you don’t not be worth more than the space lost by just copying the whole folder and forgetting about it? It’s not the space issue, it’s overwrite issue. How is that true when using Migration Assistant? In my Mail folder I also have a folder labeled MPT. Should I copy that too? Hi. Great guide! What about Apple apps like Photos? I know that with iCloud photo library I will essentially get everything copied, but information like faces don’t sync over iCloud. Is there a preference file or any other fil I can move? Also, is it possible to copy the Photos-library file to the new Mac and then locate it through the app (so I don’t need to download 50 Gb from iCloud)? I know how too but will this method corrupt something, because i have iCloud photo library? Thank you! FYI I just used migration assistant to copy all my stuff off my mac going in for repairs to the screen to a temporary mac. It did NOT copy everything. I requested everything to be imported to the temporary mac from my complete time machine backup off the original mac and some things were copied and others not. Very weird – even some email accounts and mailboxes and others missed. Some parts of the directory hierarchy copied and some missed and no errors reported !! Anyone else seen this ? (OSX on both macs is 10.11.6). Why is the player in iTunes so awkward to use? Navigating within the song in particular. Also the buttons are hard to grab. They have had quite a while to work this out, and I keep hoping with every update it will be easier to use. But still, hovering over the progress bar causes stuttering, and it’s like trying to use a micro-cassette player. Thoughts? Because it’s FREE, you got what you paid for.. Thanks so much for this article. I have a new MacBook Pro arriving next week, and I really didn’t want to transfer all of the accumulated mess from this seven-year-old laptop! I appreciate your help. I disagree with your approach. 99% of users are ignorant of these techniques and will for sure I guaranteed you, screw it up. Using Migration Assistant all of your password, mail setups, Safari favs and documents (music/pictures) and Apps are moved like you never left. With most machines coming with 2 TB of disk space, what is 1 GB of useless files going to do. They always can delete apps they don’y like after the migration. Even sophisticated programs like Adobe CC and MS Office move nicely since the prefs and Application Support files are moved by MA. I was tired asking for people on how to setup a new Mac. Here is where I got all my questions answered. The best facilitator I ever met. Thanks for the tips, helpful. Note that on macOS Sierra files in ~Library/keychain now get a suffix “-db” to their names. So when copying the keychain folder one has to rename the files there. After copy everything on your external drive how do you get it back on the new mac? Whats the other half of the process. I’m copying all these user folder to put them where and how please. Thanks for your article. I’ve used it to do a clean install on my new iMac and copied the files manually from my old one. I did not copy the contents of the Library folder. Instead I added my e-mail accounts to Mail to get my Mail and Calendar back. I used Kechain iCloud to retrieve all my passwords. This way you don’t have to fiddle around in al those funky folders inside the Library folder.